CROCT skills park update, fall 2018: teeters and skinnies and jumps, oh my! Our Sechler Skills Park got an overdue update this fall. Michael Knoll, owner of Michael’s Cycles in Prior Lake and Chaska and Behind Bars in NE Mpls, donated several wood features that they’d been using for skills clinics, most notably, a teeter totter and an up-and-down skinny plank. 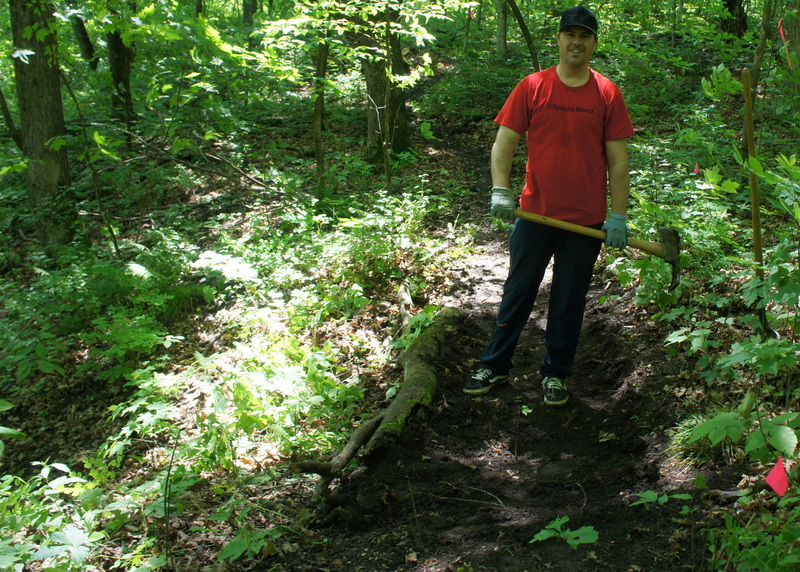 The obstacles were built by one of their long-time customers, Greg Henningsen. We revamped 7 of the 8 table top jumps and added a new one with help from the staff at the City of Northfield’s Streets & Parks Department. Featured riders in the photos above: Devin Lee and family. The skills park has its own page here on the CROCT website, listed under the Trails dropdown menu. See the Nov. 16 blog post for background on the project. We’ve added a page to our website that lists all the Rice County area businesses that have donated time, money, goods or services to CROCT in 2015. 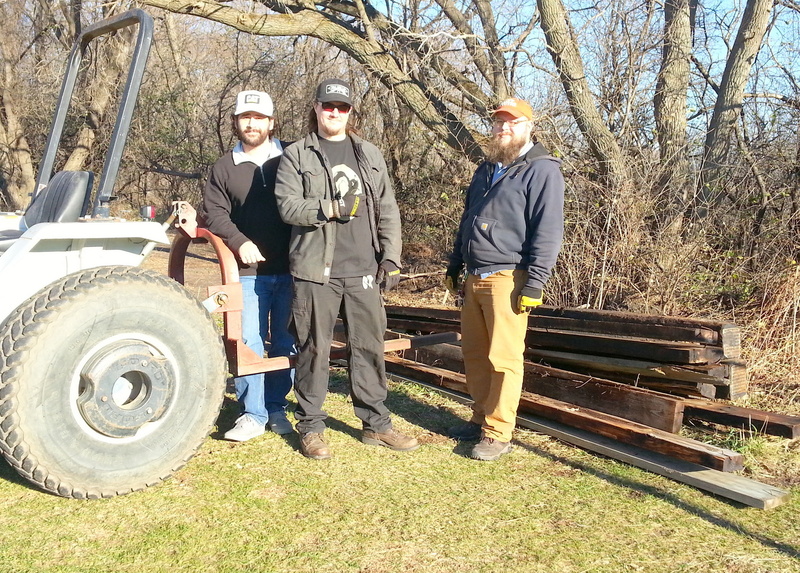 Nick Becker, Stew Moyer, and Gareth Bly from Mike’s Bikes in downtown Northfield took time out of their work day today to install new TreadHunter tires on the rig and haul planks & timbers from the City of Northfield ‘s compost site to the Sechler skills park. We’ll use the wood (from the flood-damaged Mill Towns Trail bridge) for a bridge at Caron Park & miscellaneous skills park features. Thank you, Nick, Stew, and Gareth! 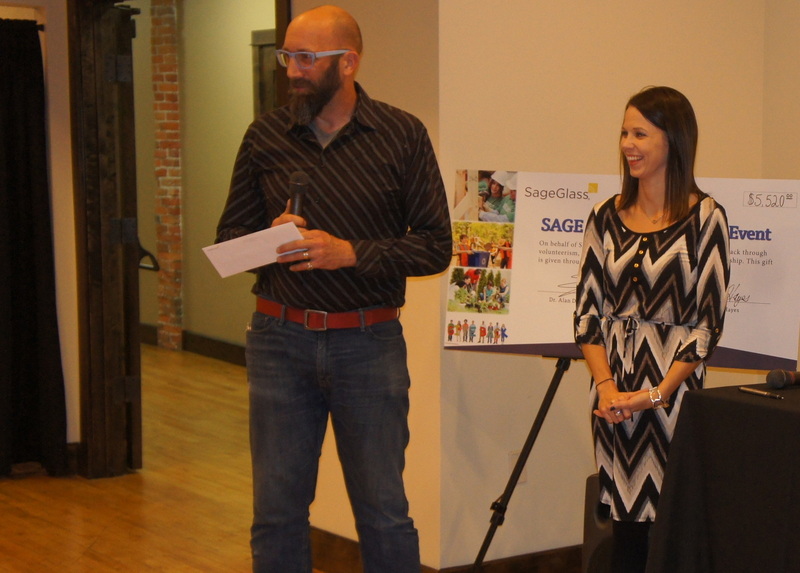 Last summer, Jason Decoux (CROCT member, Founding Supporter, and regular trail worker) submitted a CROCT grant request to his employer, SageGlass (SAGE Electrochromics). 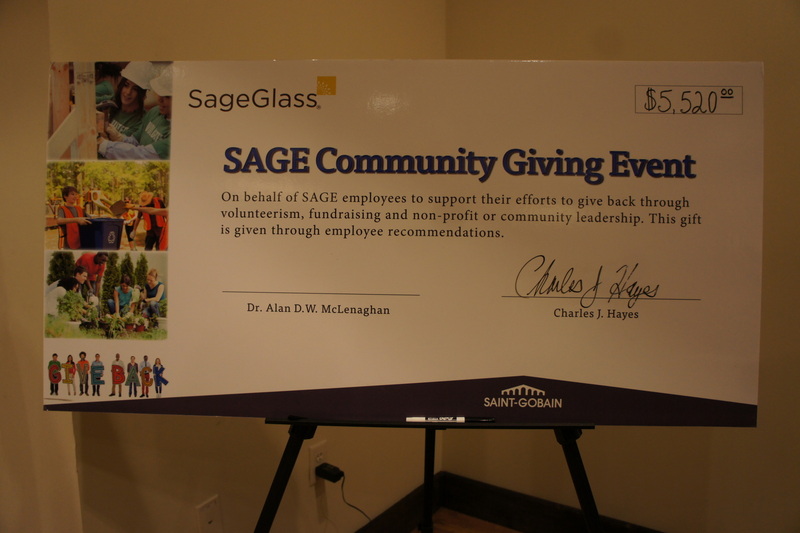 The company annually invites employees to nominate local non-profits to receive a monetary donation. Their Community Gift/Giving Committee reviews the submissions and the the company hosts a dinner to honor the recipients and hand out the checks. We were notified a month ago that the request was approved. 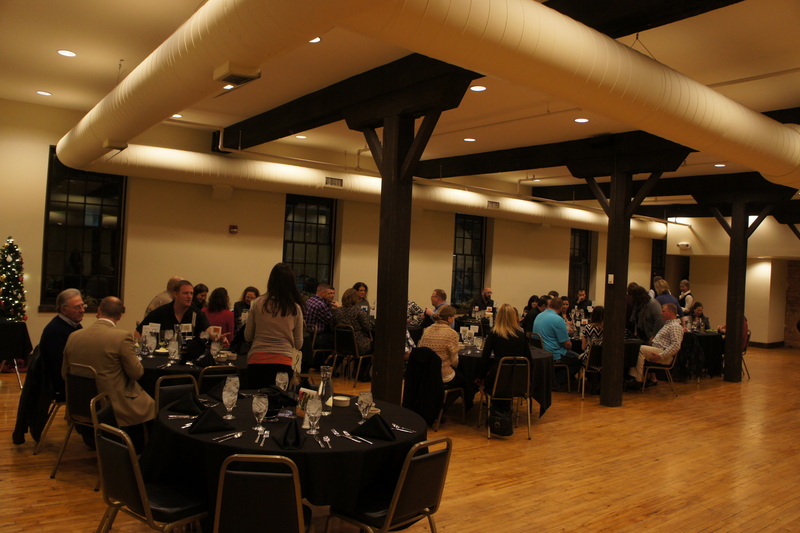 Last night, CROCT president Marty Larson and I attended the dinner in the upstairs events room at Alexander’s in Faribault. Marty briefly updated the audience on the work our volunteers have done on constructing mountain bike trails in Rice County in the past year. And he was handed at check for $345 which we’ll use to purchase some much-need trail tools. Unfortunately, Jason wasn’t able to attend due to an emergency at work. 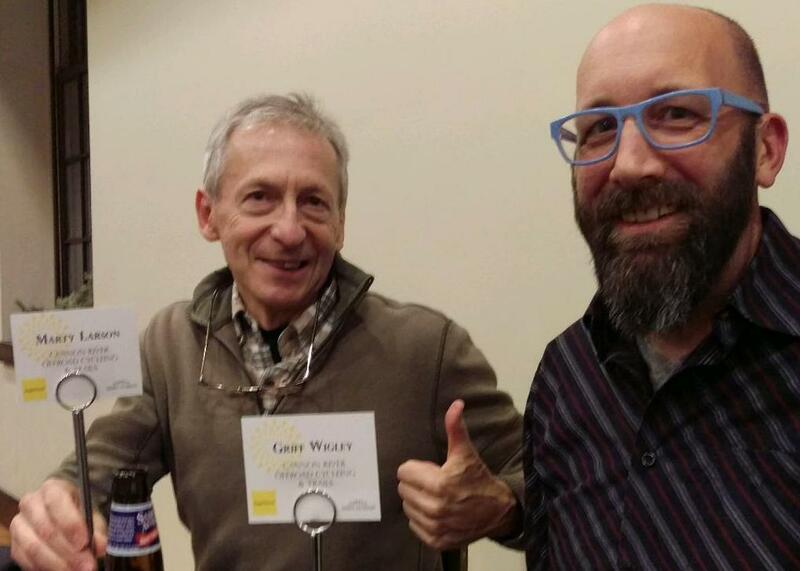 We drank a beer in his honor. 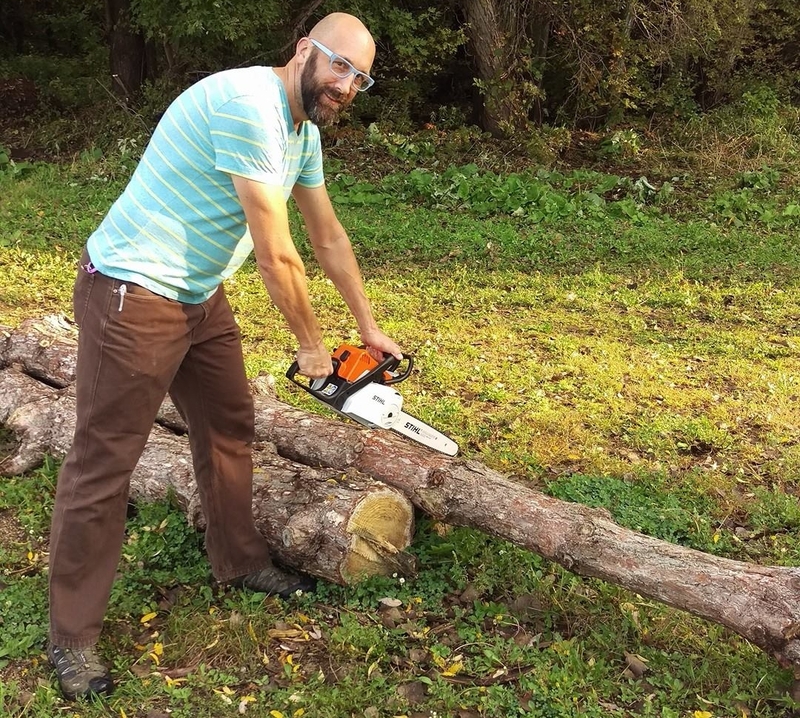 Tom Bisel, CROCT member, CVVC founder and president, and owner of Tom’s Downtown Bicycles on Division St in Northfield, donated a brand new Stihl chainsaw to CROCT a couple weeks ago. 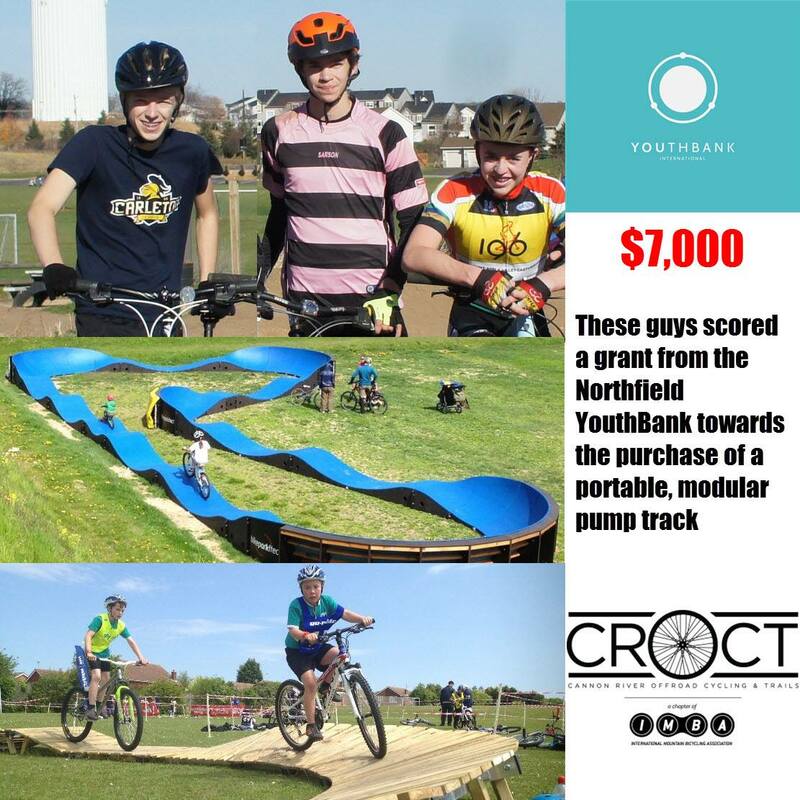 That’s Tom and CROCT president Marty Larson at the Sechler skills park in the photos below. 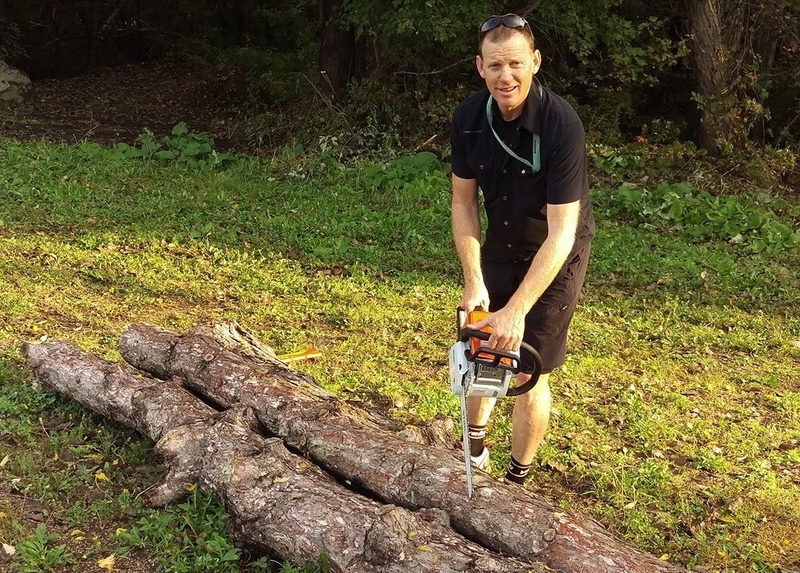 Chainsawing in shorts and a printed polo shirt? No worries. Photos were staged. And we’ve since obtained a full complement of protective gear that our skilled volunteers will be required to use. 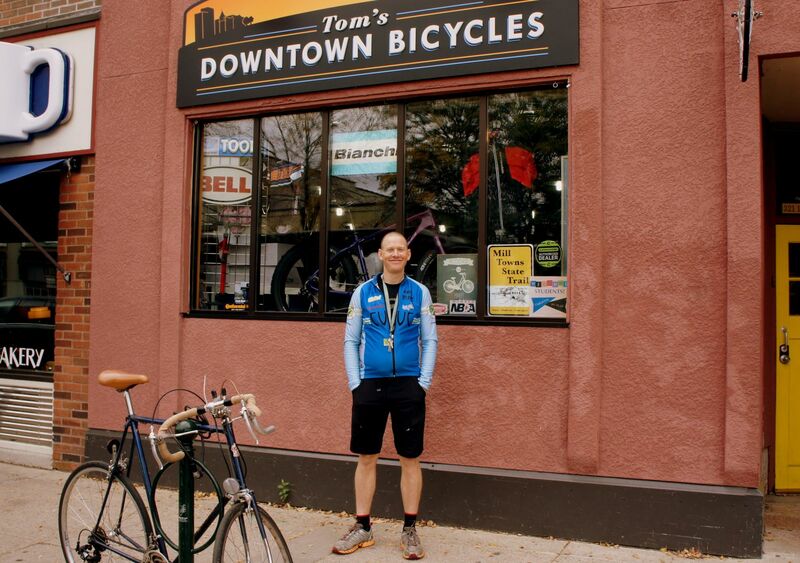 See the Downtown Bicycles website, Facebook page, and follow their @DowntownBikesNF Twitter feed.